They say a picture is worth a thousand words, but if you could only take one picture while visiting some of the most documented destinations around the world, what would it be? To help you capture that perfect shot, Booking.com, the global leader in connecting travelers with the widest choice of incredible places to stay, presents seven of the world’s most photogenic landmarks and suggests some of the best stays to snap them day and night in all their magnificent glory. Big Ben – London, UK Situated on the banks of River Thames, the iconic clock tower of Big Ben is a British icon and one of London’s (perhaps even the world’s) most recognizable landmarks. Originally named the Clock Tower, the massive bell was completed in 1859 and is attached to the Palace of Westminster. Chiming every 15 minutes, the sound of the bell can be heard as far as the Tower Bridge on a quiet evening. Acropolis – Athens, Greece Endorsed by Booking.com customers for history and ancient landmarks, the Greek capital of Athens is home to one of the world’s most iconic monuments, the Acropolis. Built between 447 and 438 B.C, the UNESCO World Heritage Site of Parthenon is the chief temple of the Acropolis and one of the most significant examples of the ancient Greek architecture. Empire State Building, New York City, USA If you are looking for a single image to capture the stunning New York City skyline, then the Observation Deck of the iconic 102-story Empire State Building on the Fifth Avenue is the place to be. The Art Deco skyscraper is one of the most photographed and recognizable landmarks in the world and has a fascinating history dating back to the start of the New York City Art Deco era. The Empire State Building is open daily until 2:00 am and visitors can enjoy the stunning night skyline by the sounds of the live saxophone on Thursday, Friday and Saturday from 11PM – 1AM. Where to stay: Located in Midtown Manhattan, you don’t even need to leave the Arlo NoMad to capture a great shot of the Empire State Building. 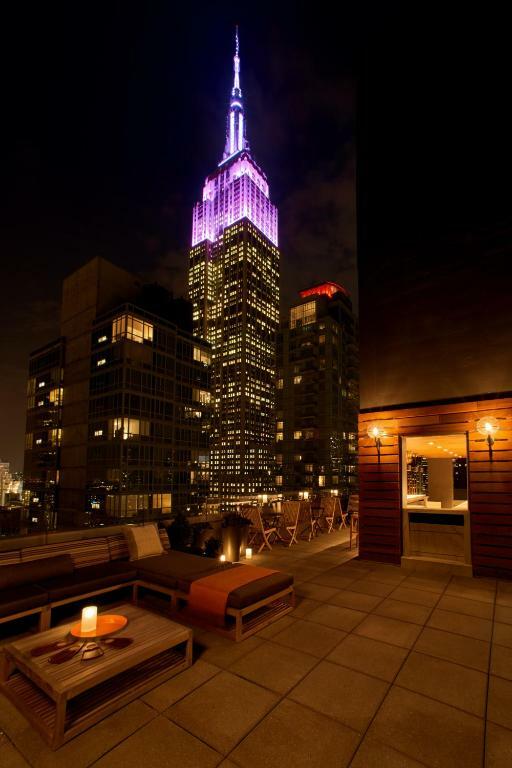 The hotel’s rooftop bar features expansive views of the city, including the best view in Manhattan of the Empire State Building. Thanks to its close proximity to the iconic landmark, guests can also visit the Empire State Building during the late night opening hours and avoid the long lines. Eiffel Tower – Paris, France If tourists were only allowed to take one photograph in Paris, it would have to be of the Eiffel Tower! Built by Gustave Eiffel, the French cultural icon is one of the most photographed and most visited structures in the world. Visitors can enjoy a stunning 360° view from the top deck, while after sunset the tower is illuminated and offers a spectacular light show of sparkles every hour on the hour. Where to stay: Set in a renovated, historic building, Résidence Charles Floquet is a short 175 feet from the Eiffel Tower and offers spacious, self-catering rooms with spectacular views of the Eiffel Tower. 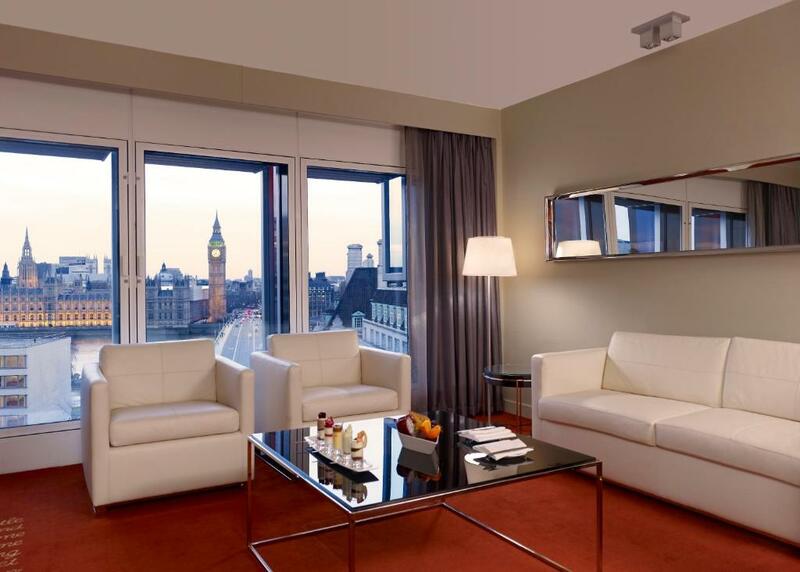 Guests can watch the glittering lights from your living room after the sun goes down. Taj Mahal – Agra, India Situated in the Indian city of Agra, the spectacular mausoleum of Taj Mahal is a symbol of devotion, built by the Mughal emperor Shah Jahan in memory of his beloved wife. The stunning architectural masterpiece is among the Seven Wonders of the World and one of the world’s most photographed tourist attractions. Endorsed by Booking.com travelers for monuments, sightseeing and UNESCO World Heritage Sites, the city of Agra is a colorful destination that attracts millions of visitors every year. 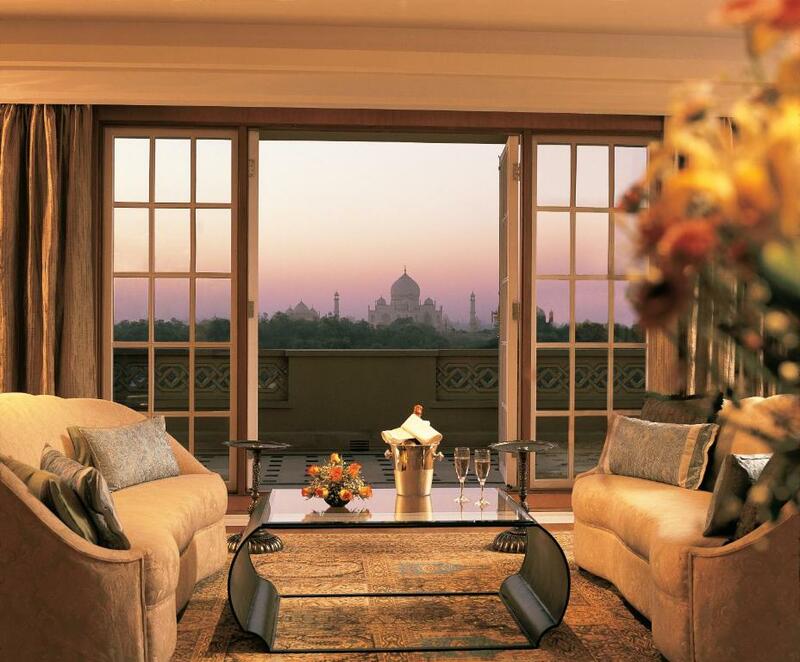 Where to stay: Less than a half mile from the Taj Mahal, The Oberoi Amarvilas Agra boasts luxurious rooms, a relaxing spa, landscaped gardens, an outdoor pool, four dining options and, not to mention, unparalleled views of the Taj Mahal. Guests can enjoy traditional Indian specialties at the hotel’s restaurants or a glass of wine at the bar overlooking the imposing Taj Mahal. Duomo - Florence, Italy Endorsed by Booking.com travelers for museums, history, art and architecture the city of Florence is a landmark itself! Home to the iconic Duomo and many artistic masterpieces including Michelangelo’s “David” sculpture and Botticelli’s “The Birth of Venus”, this well-known destination is a journey back in time. The Piazzale Michelangelo, a square with a panoramic view of the city located in the Oltrarno district, is the perfect spot to snap a photo of Florence’s breath-taking skyline, no matter what time of the day. Where to stay: In the center of Florence, and a short 5-minute walk from the Piazza del Duomo, is the Firenze Rentals Corso 12. 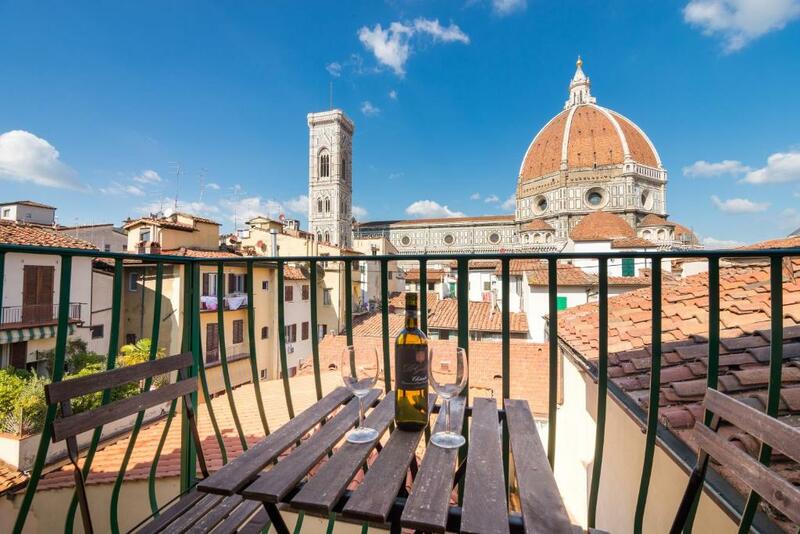 This beautiful property offers self-catered apartments with a balcony overlooking the magnificent Duomo. One of the most significant structures ever built and largest historical site on earth, the Great Wall of China is the world’s longest wall offering an amazing route over steep mountains and deep valleys. The most popular and best preserved section of the wall is the Badaling Section, but visitors can plan a route that suites. No matter which route you choose, discovering The Great Wall of China is a once in a lifetime experience, so don’t forget to snap some photos! Where to stay: Flower Yard is a 6-minute drive away from Mutianyu Great Wall and a 15-minute drive from Jiankou Great Wall. The property offers barbecue facilities, an on-site restaurant with grocery delivery available on request, as well as a games room.